While author Jo Nesbø allegedly has a cameo appearance with a dog, I couldn’t spot any sign of Aled Jones in this new Scandi-noir investigative thriller based on one of the many Harry Hole page-turning novels. The Snowman begins by casually laying out a series of family scenes like crime files being flung onto a table. Only the age of the vehicles gives away the different timeframes on display. We see a distressed young boy whose abusive ‘uncle’ walks out of a house in rural Norway: soon the young lad is orphaned. Next a woman is followed home and the next morning a snowman has been built and is wearing her scarf, looking sinisterly up at the first floor bedroom windows (rather than looking out across the road) and she is missing. There are further disappearances and the predator begins to tip off a police detective before carrying out his crimes and leaving a snowman calling card. Inspector Harry Hole (played by Michael Fassbender) has a new partner in work, Katrine Bratt (Rebecca Ferguson). She’s a keen investigator, on top of the new-yet-clunky technology being rolled out by the Norwegian police force, whereas Hole is a depressed soul who is on the lookout for a good murder to scrutinise with his old fashioned methods. Particularly in the first half, the film’s pace seems to be move at the speed of permafrost thawing. At one point I wondered if the film would exceed the Blade Runner 2049 run time and last all day. For certain scenes, the book – which I’m a few chapters into – is actually faster to read than the movie is to watch. 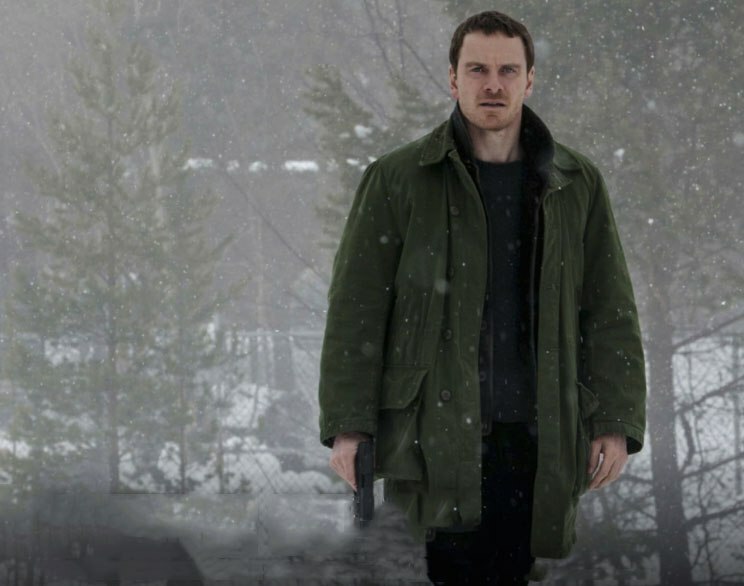 The loose chronology and lack of breadcrumbs create an ambiguous canvas upon which director Tomas Alfredson paints the blended plot and scatters his collection of disposable characters. The relationship between the two cops is one of mistrust. The closest Hole has to a friend is his ex-partner (played by Charlotte Gainsbourg) who has custody of their child. Inevitably the professional and the personal collide before the credits roll. While it’s not uncommon to pretend that everywhere in the world speaks English and ignore indigenous languages – who can forget Sean Connery as the Russian submarine captain with a Scottish accent in The Hunt for Red October? – it felt unusual for a myriad of English accents to be used and the only snatches of spoken Norwegian kept to chatter in the background. 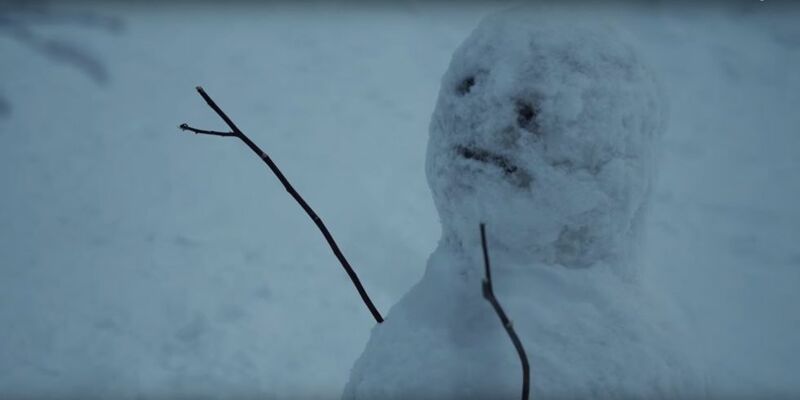 Maybe the subtitled Saturday night series on BBC Four have spoilt audiences and taught us to enjoy languages other than English, but I found the linguistic nature of The Snowman distractingly false and commercial. Devices, physical and cinematic, are the bedrock of the film. The clunky police computer is lugged around from scene to scene, eventually failing the most basic fingerprint security test and proving why twelve hourly synchronisation is not sufficient, but still providing a clue which leads to the discovery of the (most) evil character. While horrific in places, the film pulls back from ever firmly stepping into horror. Norwegian scenery is stunning and beautifully captured in the bluey grey tones of the film. Michael Fassbender plays the moody inspector with a cryptic nonchalance, the kind of chap so nonplussed with life that he’ll use a stack of LPs as a pillow while listening to a record through expensive headphones. Across the cast, he delivers the most depth of performance as his own demon-infested backstory is revealed. Rebecca Ferguson keeps her headstrong character’s cards close to her chest as she hides a personal connection to the case, a connection which finally connects together the loose threads that have been left dangling all the way through. As well as Fassbender and Fergus, the Irish acting fraternity has also slipped Adrian Dunbar (Line of Duty) into the cast. His brief appearance along with that of Toby Jones (The Play What I Wrote) momentarily took my mind off the movie and reminded me of more enjoyable ways to spend a couple of hours. I imagine that the dramaturgical diagrams and charts behind the plot of Milo Rau’s play Compassion: The History of the Machine Gun are complicated, but The Snowman must have had many walls covered with cards and string in order to map out the different layers of the story. Yet there are still loose ends (and red herrings) like the dry rot workman and the cigarette butts whose on screen presence feel more significant than they turn out to be. And I’m never convinced by an injection whose needle barely has to prick someone’s skin before the person keels over. 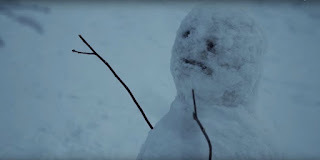 While The Snowman is definitely a much more sophisticated film than some of the juvenile fare that has recently been screened in cinemas (Stratton, American Assassin, and Kingsman - The Golden Circle come to mind), for me its admirable complexity and craft weren’t sufficient to overcome my dissatisfaction. Fans of the series of books may enjoy how the familiar characters leap off the page and onto the screen, but for me the disconnected paperback method of telling the story was unsuited to the two hours of screen-based storytelling. And it certainly wasn’t helped by the all too familiar return to the trope of a serial killer targeting women (though the only gratuitous torso in this film belongs to Michael Fassbender) and the repeated use of torture tools to sever bits of victims’ anatomy. The Snowman will be in cinemas from Friday 13 October, including the Movie House and Omniplex chains.